Magnavox TV remote control codes. 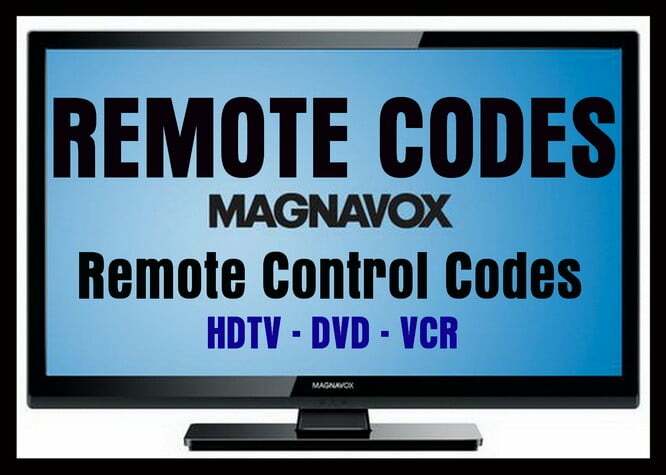 If you have recently bought a universal remote control and you need the remote codes to operate your Magnavox TV, we have codes below for your Magnavox TV, Magnavox Sound Bar, Magnavox HDTV, Magnavox DVD, and Magnavox VCR that will work to program and control your Magnavox devices. If the first code does not work, keep trying the numbers down the list and you will find one that will work with your Magnavox television. Do you have any other codes to add to the list for Magnavox TV remote codes? Please leave a comment below. I have a Samsung 3d Blu Ray DVD player, trying to set my GE universal remote to work with it. I need the codes. You can try 0199 and 0741 as the remote code for your Samsung 3d Blu Ray DVD player. One of these remote codes should work with your GE Universal Remote.